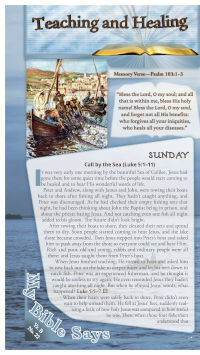 Presents the plan of salvation in chronological order, from Genesis to Revelation, in the context of the Bible stories. 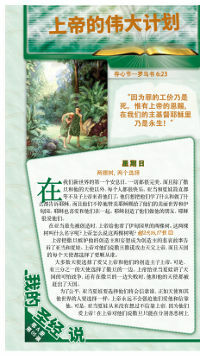 Bible doctrines are also presented in the context of the stories. The last two quarters cover the Reformation and Early Advent church history. Weekly lessons are divided into six daily sections with application questions. Every lesson includes an activity page and a simplified timeline. Includes references from the Bible and the Spirit of Prophecy. You may download an overview chart of the entire 3-year cycle. Actual size: 5.5 x 11.